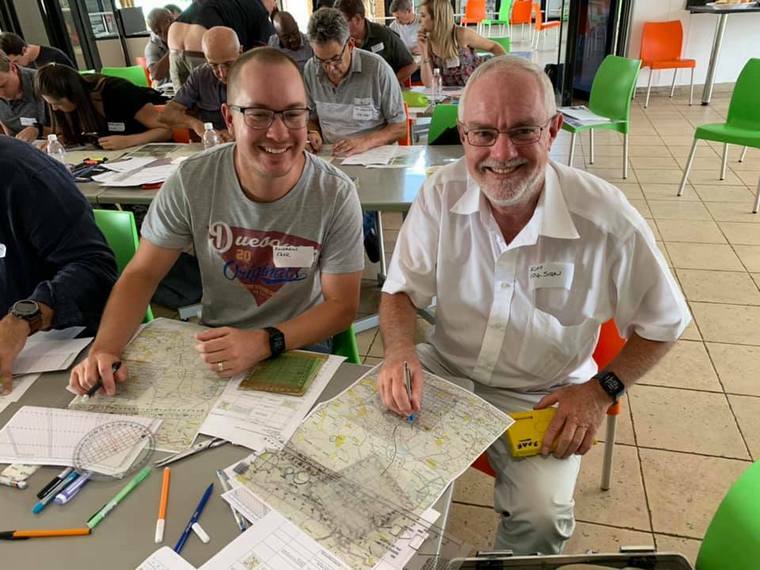 SAPFA held a very successful training event on Rally Navigation on Saturday 19th January as the first SAPFA event of the year. 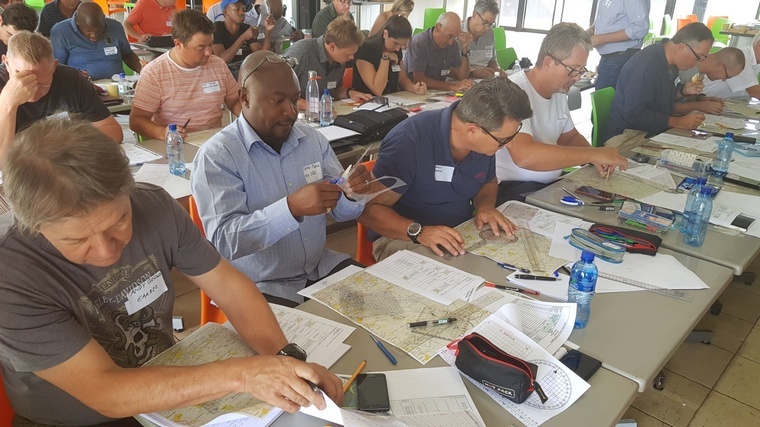 Initially planned for a maximum of 30 participants, and at Grand Central, the eventual total participation was 50, and fitting everybody into the Aerosud training hall proved a challenge. 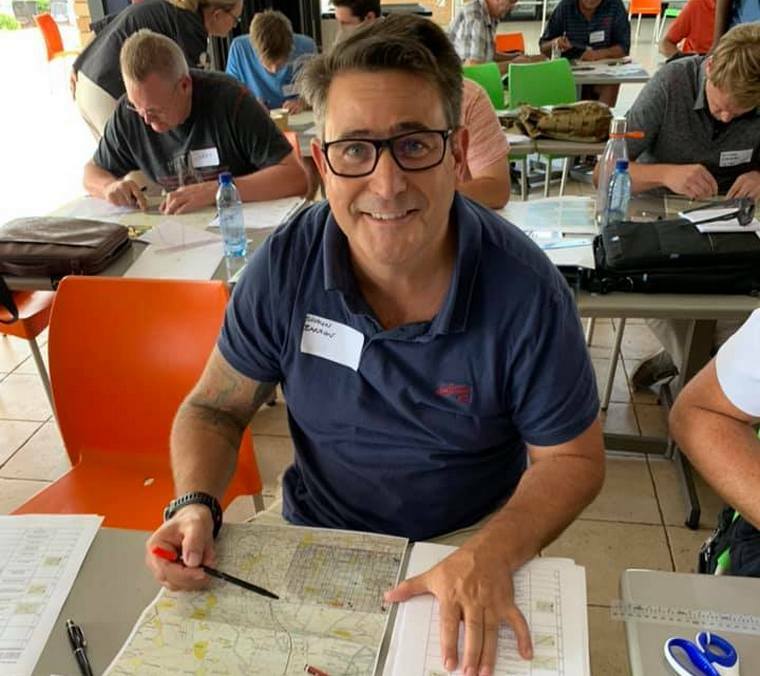 It is great to see the sport being supported so enthusiastically, and the willingness to learn these basic skills of map reading and planning. The GM of the Aero Club Alan Evan Hanes opened the day with a brief overview of the Aero Club and its functions, that the Aero Club has as its mission to protect all forms of Recreational Aviation, and supports Sections of the Aero Club such as SAPFA to be able hold successful events within the procedures governing recreational aviation in SA. 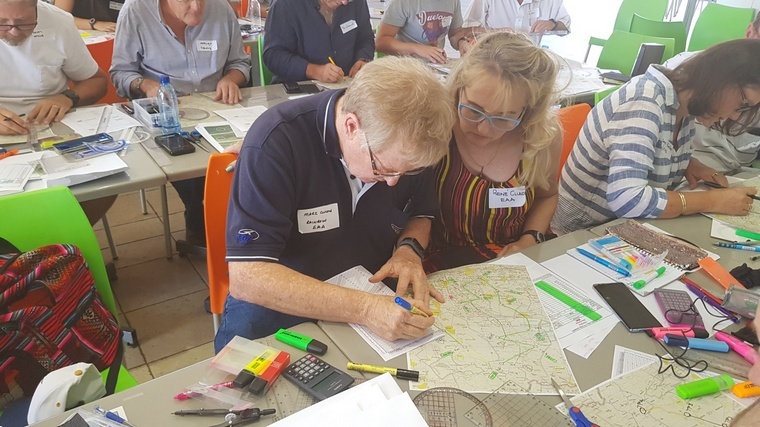 With that Mary de Klerk took charge and laid out the objectives of the day, by initially going through the theory of plotting, and then to practice on an actual plot. 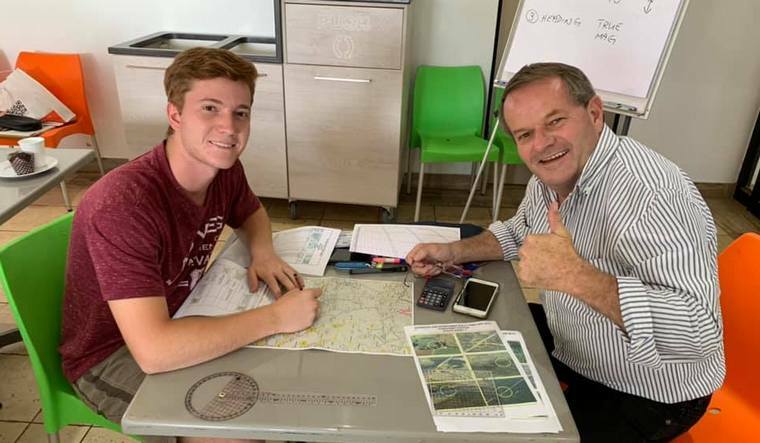 With this year of 2019 having a full calendar of events, and the Nationals coming up in April in Stellenbosch, and with SAPFA having won the bid to host the World Rally Flying Championships in 2020 (which is also the Centenary year of the Aero Club), this training event would serve as an excellent platform to entice new members to the sport and to start training for the Internationals and obtain Protea Colours. Mary first started off with having everybody introduce themselves, and what they each had as objectives for training, some were there as newbies interested in taking part in the sport, some having takien part previously indicated they needed some formal and expert training, and some others indicated they just wanted to delve more in depth than what a ppl course would give on the art of paper based navigation. 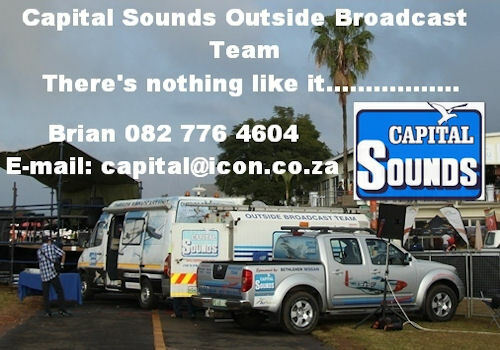 From there Mary outlined the theory on plotting procedures and described the tools of the trade. 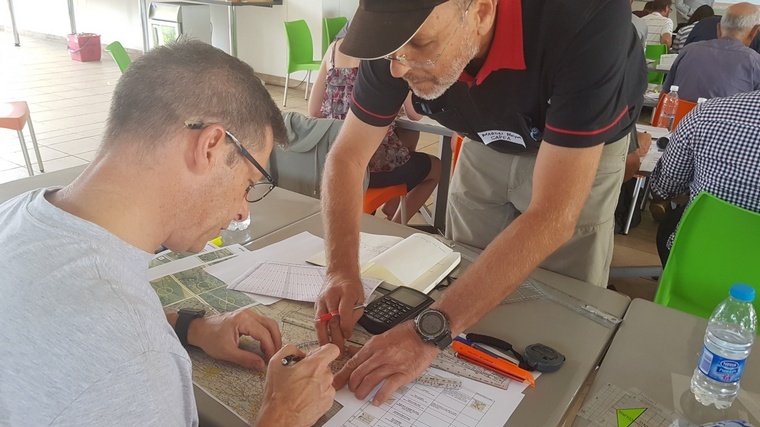 Then it was off to plotting an example course which had to be done from basic plotting principles of co-ordinates, bearings (which could be in either true or magnetic) and distances (either in nm of km). Each turning point then had to be found and identified and linked into legs, some of which could be arcs or follow map features. 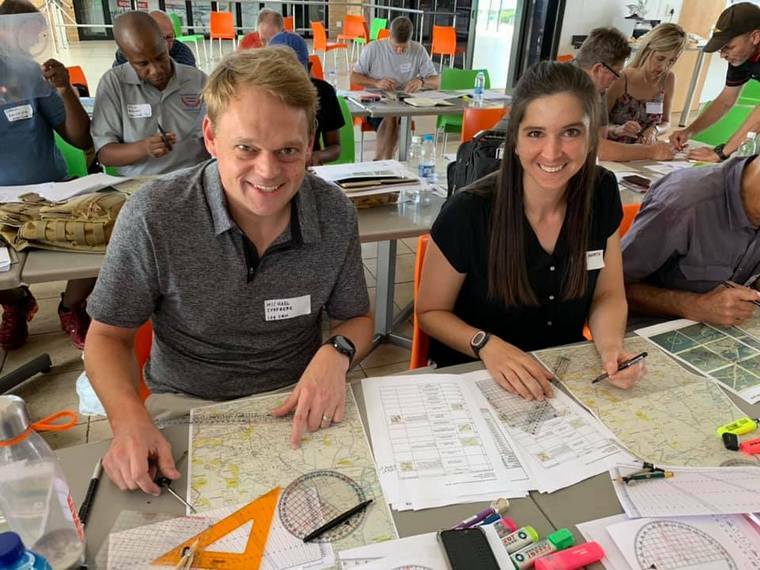 The goal in getting to National level standard is to be able to plot in the aircraft with a papers time of around 30-40 minutes prior take-off, which means speed is of the essence in doing the plot, so that the navigator can assist with finding and identifying the ground photos. 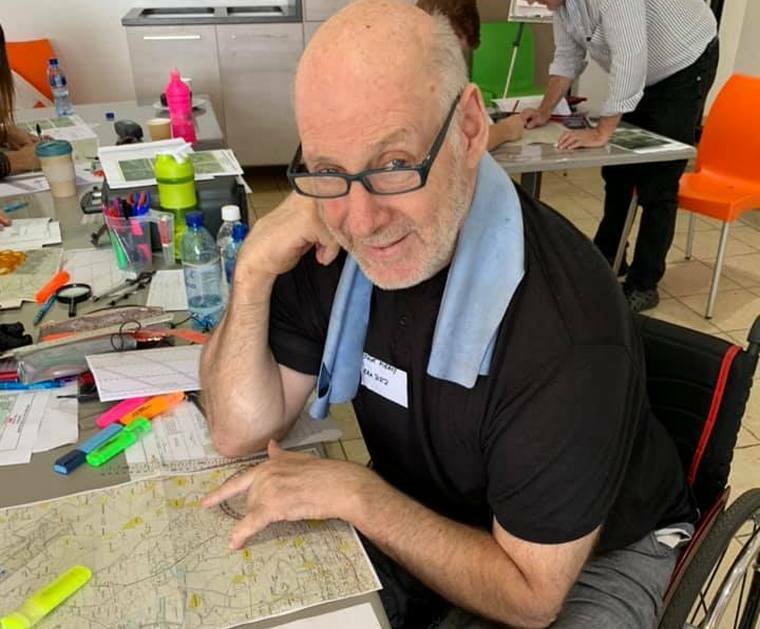 The morning's training ended off at around 11 am, and after a short break, everybody got their first route in an envelope, got the laminated transparent tool, which they had to cut out, and proceeded to plot each of the turn points making up the route. It was decided to proceed right through lunch, and most had finished their plot by after 2pm. 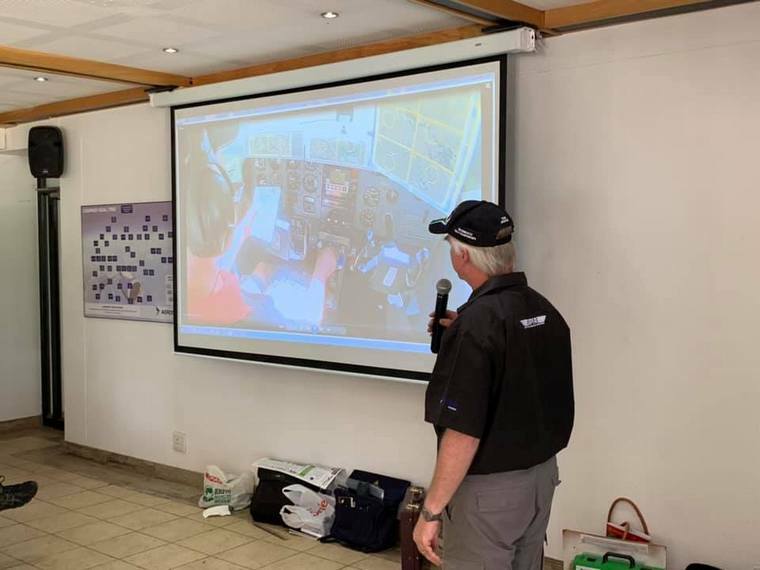 The course was ended off with an in cockpit video of one of Rob & Martin's 2012 rally flights to show how the leg photo features match up with the real world outside to give the perspective of what one sees outside the cockpit from the flying height and distance. 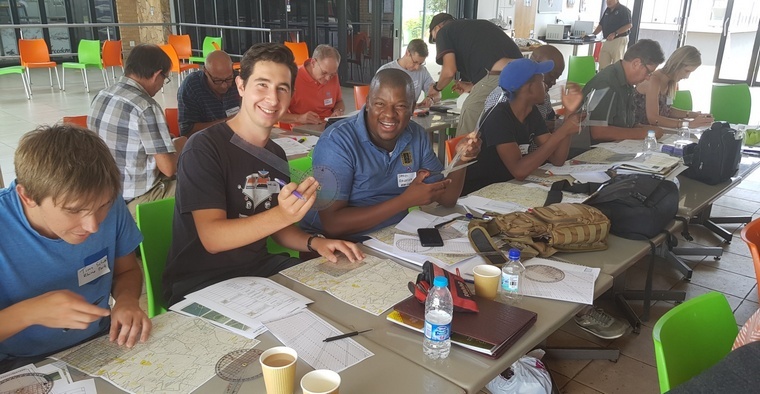 Everybody left with some knowledge gained on plotting and techniques of planning & flying a rally, and it is hoped that many will come to the Rand Challenge on the 26th January and Nationals in April. 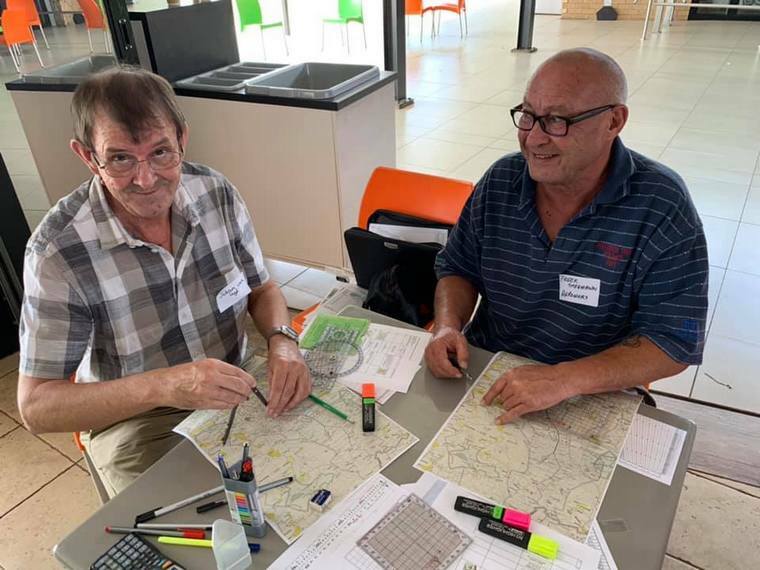 Mark and Rene Clulow figuring the plot.